Sign up for Summer 2019 today! The program is taught aboard a fleet of over twenty vessels ranging in size from 13 – 24 feet. Beginner and experienced sailors have fun and are challenged through skill advancement in the EAST Sailing Academy Log Book. 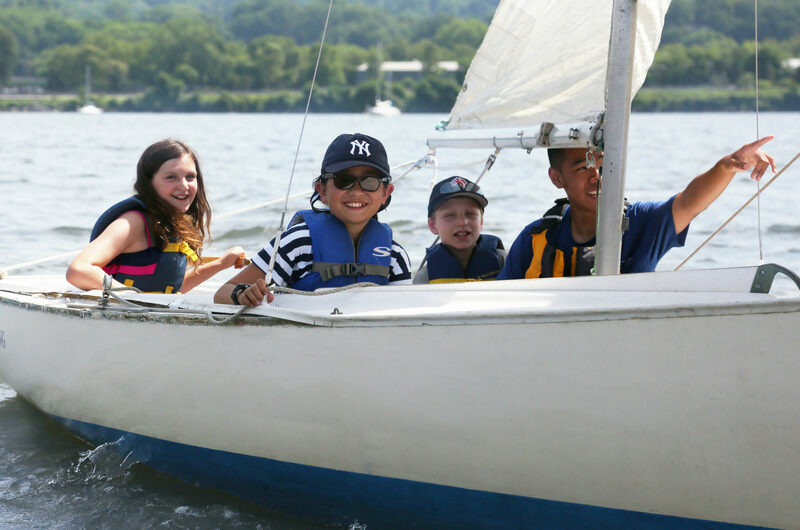 Day trips, water fights, Pizza Day, fun awards and sailing games are always in the forecast at Croton Sailing School’s EAST Sailing Academy! The student to instructor ratio of the sailing school is a maximum of six students per instructor. Groups are formed by age and sailing experience. EAST Sailing Academy students are aged 9-16. Each group is assigned its own instructor(s) to provide consistency and personal attention. 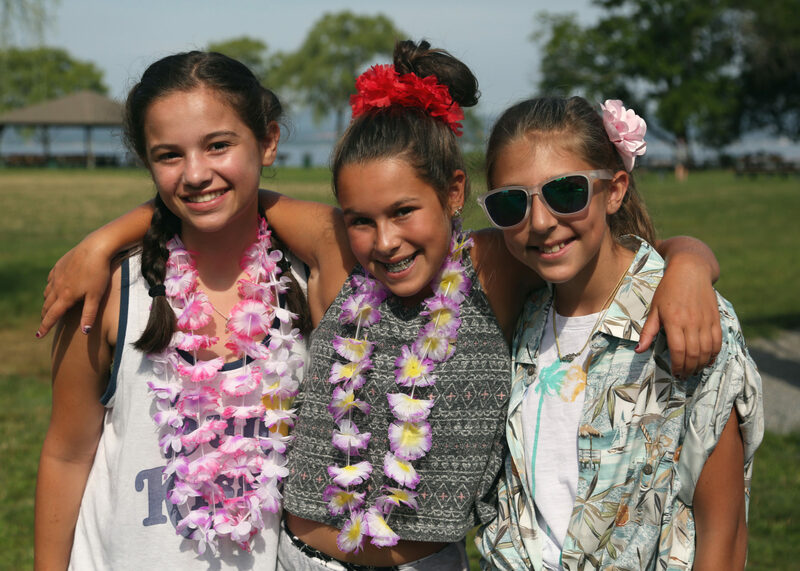 Top Gun Program: Each week the best sailors are selected from each group to participate in spirited regattas (racing) aboard the East Sailing Academy’s fleet of 420’s. Youth Program Fleet: Primary instruction is provided aboard 420’s, 15’ Cape Cod Mercury’s, and 24’ Rainbows. The EAST Sailing Academy is unique in its ability to offer both small and large boat experience. Safety: Program participants are required to wear a Personal Flotation Device (PFD) at all times while on the docks or on board the boats. Instructors are trained in sailing safety and safe sailing practices are stressed at all times. Second Mate: Knows the parts of the boat and can perform crew duties in the rigging and de-rigging procedures. Second Mates can assist in sailing a set course containing all points of sail. Full knowledge of boat safety is required of all second mates. First Mate: First Mates must sail a set course with crew assistance and direct the rigging and de-rigging of the boat. Skipper: Skippers prove single- handed ability to rig the boat and sail a set course. Skippers must also pass the American Sailing Association’s Basic Sailing exam. Racer: Racers are able to fly a spinnaker and can pass a test on U.S. Yacht Racing Rules and Regulations. Salty Dog: Demonstrates skills of seamanship including marlinspike, navigation and heavy weather sailing. Program participants are required to wear a Personal Flotation Device (PFD) at all times while on the docks or onboard the boats. Students may wear their own PFD’s or one will be provided for them. Instructors and staff are trained in sailing safety and safe sailing practices are stressed at all times. All sailing is planned and overseen. The EAST Sailing Academy’s fleet always stays in range of radio and cell phone contact with emergency services. 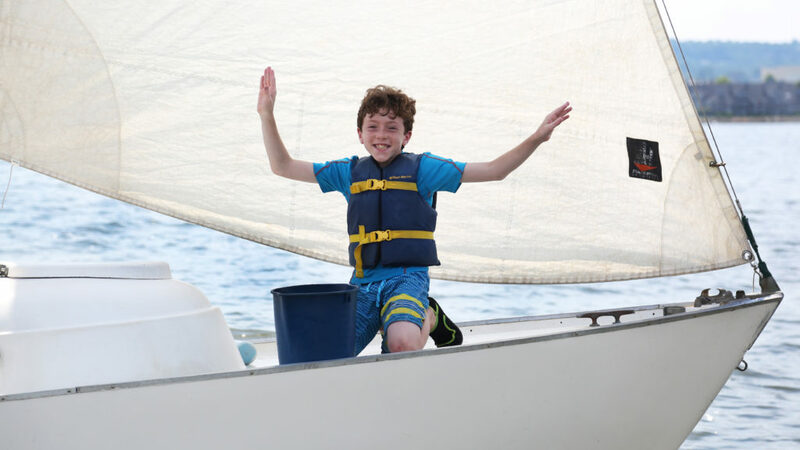 The EAST Sailing Academy prides itself on its safety record and continues to strive to make your child’s sailing experience a safe and happy one. The Croton Sailing School, Discover Our Sailing Paradise! Our unique setting offers the area's best sailing with the dramatic Palisades Parklands and the entrance to the Hudson Highlands creating a beautiful range of scenery. Please visit our contact page to let us know how we can help you.